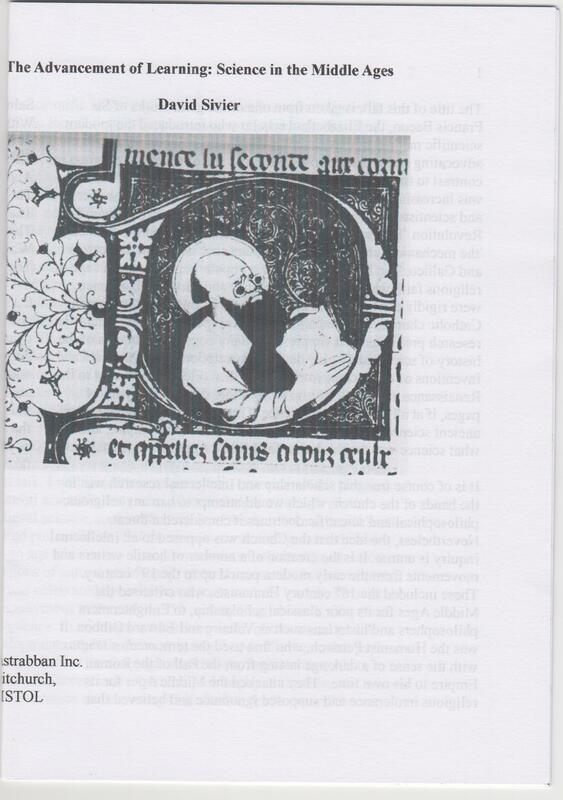 The Advancement of Learning: Science in the Middle Ages, A5, 14 pp. This is based on a talk I gave at Uni, and an article I put up on this blog, to show that, contrary to the received wisdom, the Middle Ages was also a period of great scientific and technical discovery, and that from the 12th century onwards scholars took a positive interest and delight in the scientific endeavour. 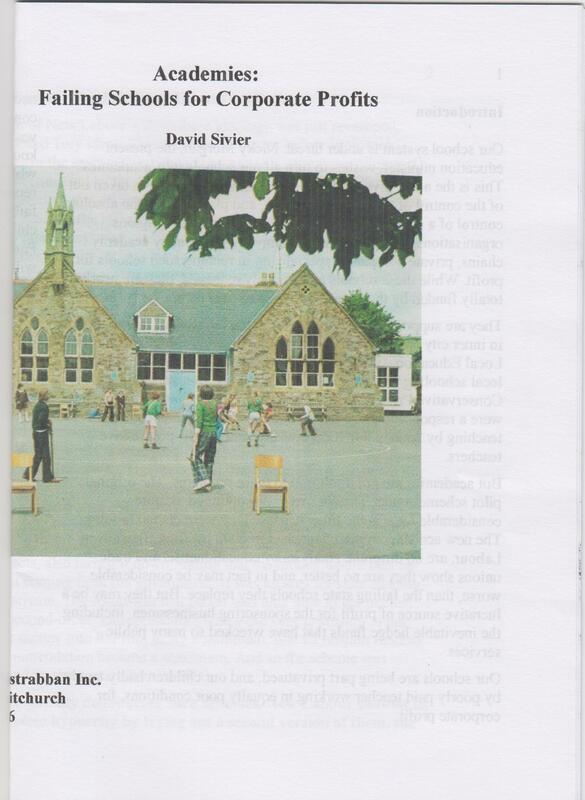 Academies: Failing Schools for Corporate Profits, A5, 14pp. This traces the history of academy schools right back to their origins as City Technology Colleges, a Thatcherite policy set up under Kenneth Baker, which was terminated because it was a failure. It was then revived as City Academies by Tony Blair in 2000, before being renamed as just ‘academies’. It argues that they’re a form of educational privatisation, they don’t raise standards, and are taking the country back to a period before the 1944 Education Act that made universal secondary education free and universal. 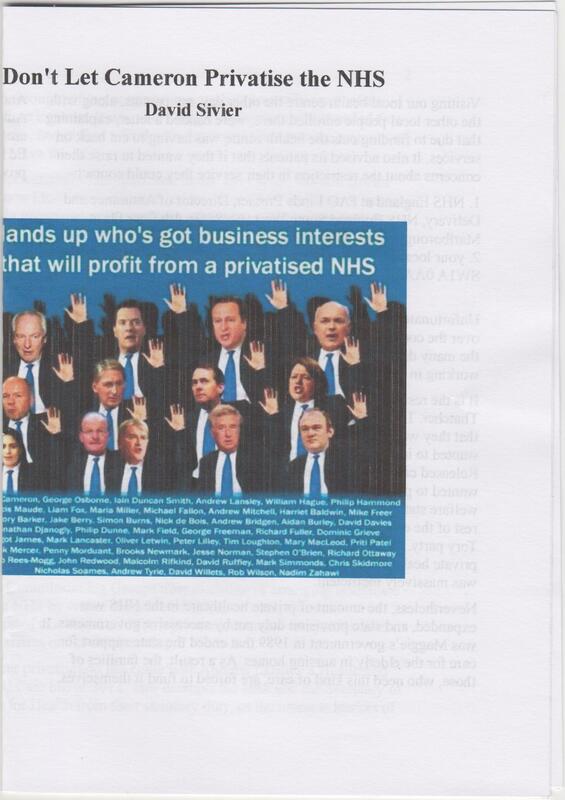 Don’t Let Cameron Privatise the NHS, A5, 10pp. This gives a brief history of the governments’ attempts to privatise the NHS gradually from Maggie Thatcher onwards, culminating in Andrew Lansley’s Health and Social Care Act, which threatens to completely privatise it. 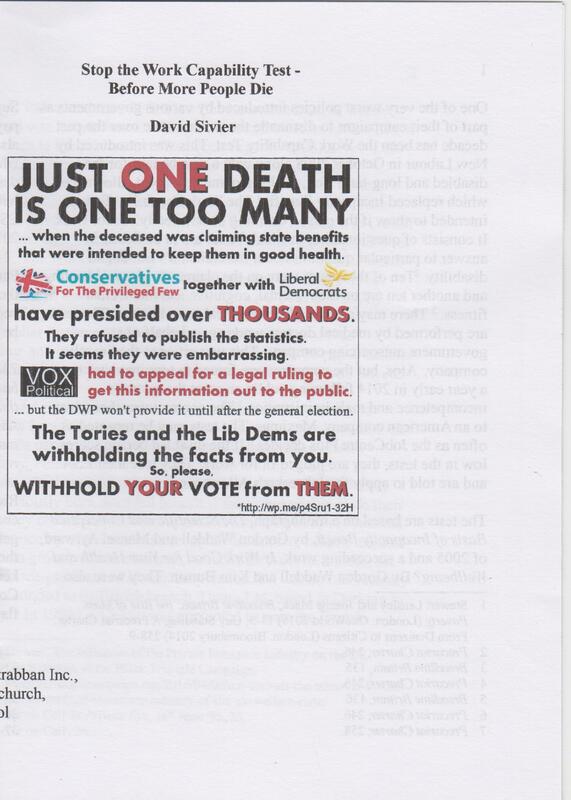 It also reproduces the arguments against the private healthcare system that Thatcher and Tony Blair wanted to introduce made by Robin Cook in a Fabian pamphlet published in the 1980s. A longer pamphlet on the same subject is also in preparation. Stop the Work Capability Test – Before More People Die, A5, 6pp. Short leaflet describing the introduction of the Work Capability Test, the flawed models of sickness on which it’s based, and the assumption behind it that most people claiming long term sickness or disability benefit are malingerers. It attacks the commercial interests behind it – it was drawn up on the advice of Unum, an American insurance company that was prosecuted in the Land of the Free for not paying out on its insurance schemes, and was labelled a ‘disability denier’ by the American authorities. This scheme is scientific nonsense, designed to enrich corrupt private corporations and has led to suffering and deaths of the people, who have been thrown off their benefits as a result. This briefly discusses Guy Standing’s idea that a new class has arisen, the precariat, and his recommendations for ending their poverty. 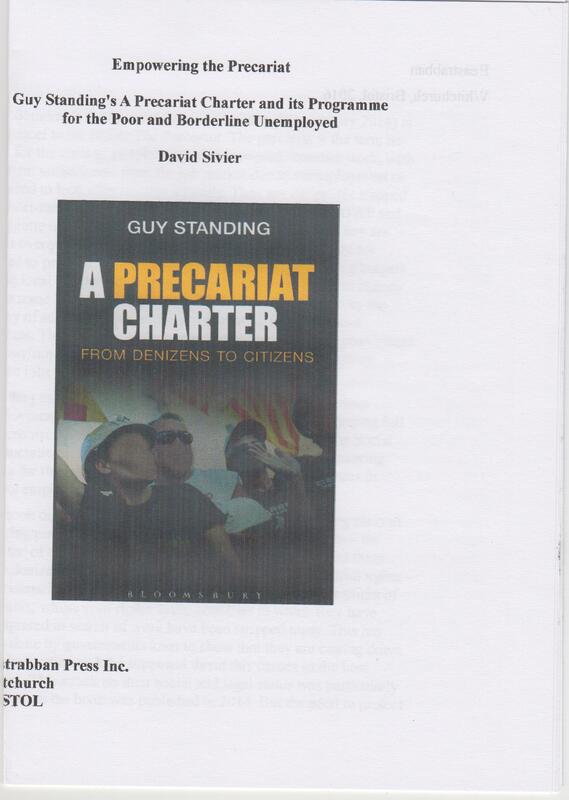 The precariat are those people, who have become less than citizens, through having the rights taken away through punitive employment legislation and welfare cuts. They are often highly educated individuals, forced to accept work below their educational qualifications, simply to make ends meet. They are trapped in a series of low paid jobs, interspersed with periods of unemployment. This is a result of flexible employment policies, such as zero hours and short term contracts. They are forced into poverty through welfare cuts, benefits sanctions, and workfare. This class also includes migrant workers, who travel around the world in search of work, and find themselves similarly trapped in poverty without the rights of their host nation’s citizens. Standing’s recommendations for ending their poverty include restoring citizenship, giving migrants and the unemployed the same rights as fully employed citizens, and ending the sanctions system, workfare and the work capability tests. If you’d like any of these pamphlets, go to the page for them and use the contact form there. Or simply get in touch using the comments below, and I’ll get back to you. If you only want a single issue of any of these pamphlets, let me know, and I’ll post it to you free of charge.